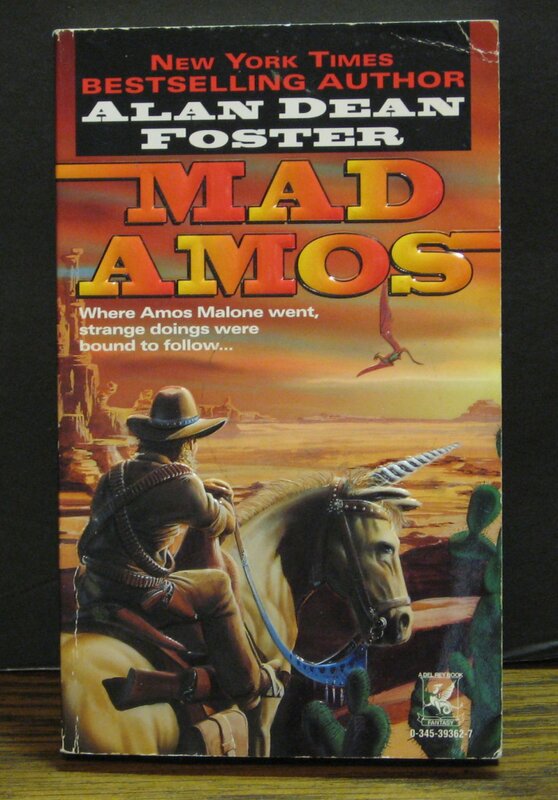 This is Mad Amos, a Wild West weird fantasy adventure novel from Alan Dean Foster. It is from 1996, published by Del Rey. As shown, it is in over all good condition with some wear from age and normal handling. See pictures for details.